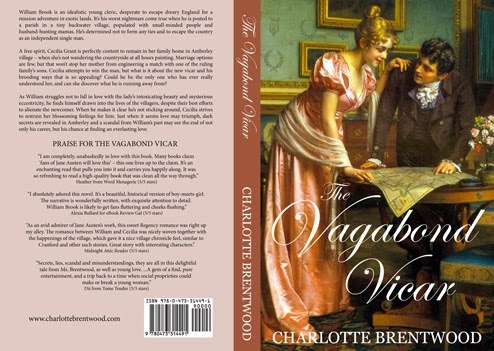 Charlotte Brentwood: THE VAGABOND VICAR is Now Available in Print! THE VAGABOND VICAR is Now Available in Print! It's on sale now on Amazon - see the full list of available retailers on my books page. I'll be adding more as Ingram Spark distributes it to other online stores such as Book Depository.